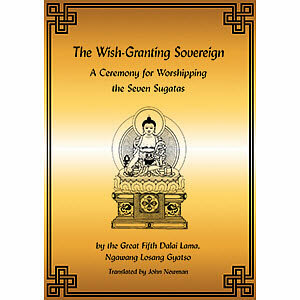 Composed in 1673 by the Fifth Dalai Lama, Ngawang Losang Gyatso (1617-1682), this text is an extensive rite for the worship of the Seven Medicine Buddhas, Buddha Shakyamuni, and an assembly of bodhisattvas and guardian deities. 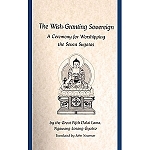 The worship of the Seven Medicine Buddhas is a spiritual method to alleviate sickness, poverty, conflict and all the other miseries that inevitably afflict beings living in the world. 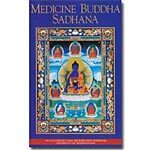 Despite the almost miraculous recent advances in medicine and other technologies, the basic realities of human existence are as true today as they were 2,500 years ago, when the Buddha recommended that we face up to them. 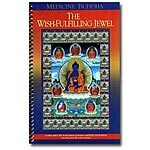 This puja (the most extensive of all the Medicine Buddha pujas) was translated at the request of Lama Zopa Rinpoche by Professor John Newman.